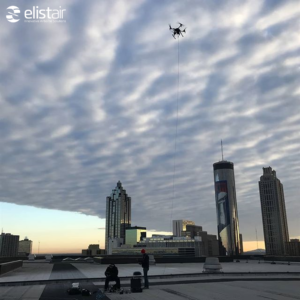 Elistair has announced that its tethered stations for unmanned aerial systems (UAS) were selected to provide TV broadcasting and security capabilities during the 53rd Super Bowl. The micro-tether incorporated into the stations allowed the drones to fly for several hours without the need to charge the batteries, maintaining constant coverage. The tethered drone setup was a DJI M200 drone with an Elistair Light-T station and was operated by Vector Aerial. 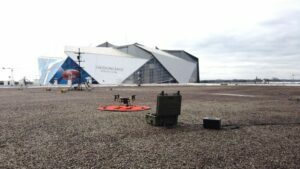 The system was strategically set on the rooftop of the CNN building facing the Mercedes Benz Stadium. Operating at a height of 45 meters above the rooftop, viewers were able to watch aerial imagery before and after the show. NFL security officials expressed their interest in using this solution as often as possible because of its ability to follow a subject continuously without having to pass from a fixed camera to another and risking losing the subject from the field. When tethered to the station, the drone can fly for hours without the need to interrupt operations to change batteries. With operating heights up to 100m a tethered drone provides live video imagery of a wide area and provides immediate and relevant information to decision makers. 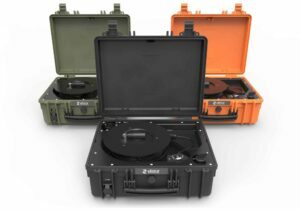 “We are extremely proud of this achievement; our tethered drones have again been proven as a safe surveillance capability for large event security and broadcast applications. After the Ryder Cup 2018 and the recent Peace Forum in Paris, the 53rd Super Bowl is a great opportunity to demonstrate the efficiency and safety of our systems in these environments.” Guilhem de Marliave, Elistair CEO.